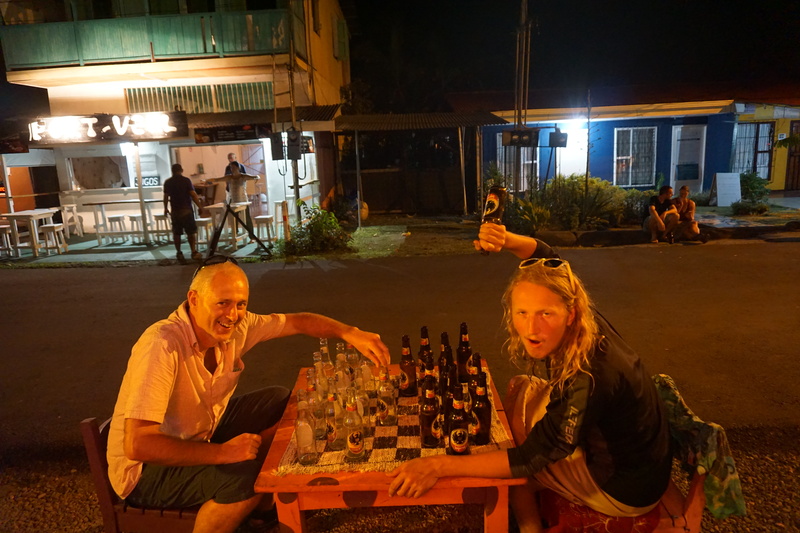 Two spare days in our Panama trip, and what to do. 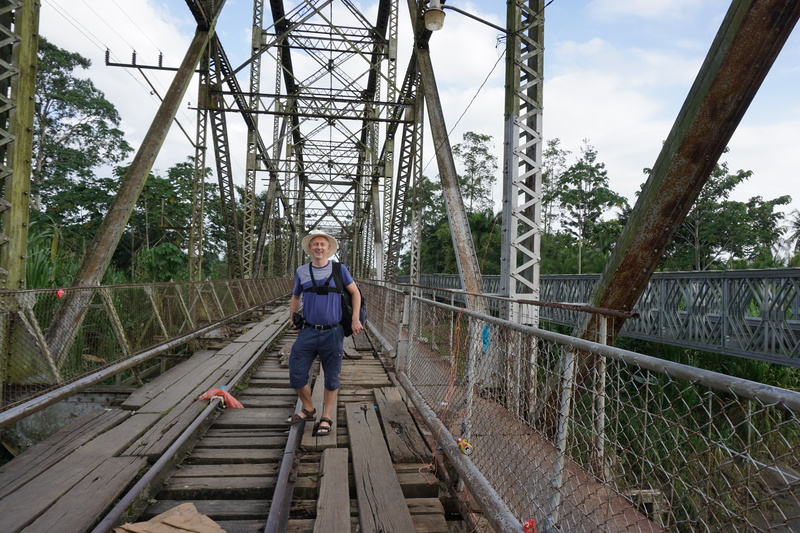 With our next stop in nearby Bocas del Toro, and with the combination of good beach town and convenience for the overall route proving elusive, we decided at the last minute to pop across the border for a couple of days. 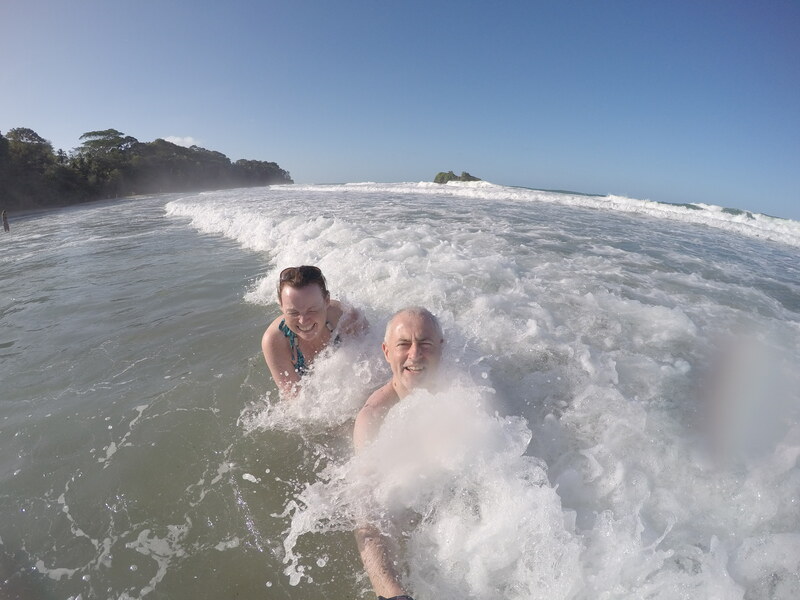 A 6.30am flight from Panama City and losing an hour as we cross into Costa Rica resulted in an early arrival to Puerto Viejo. The whole border area seems like a vast banana plantation, and indeed we narrowly missed the temporary closure of the bridge by protesting banana workers. 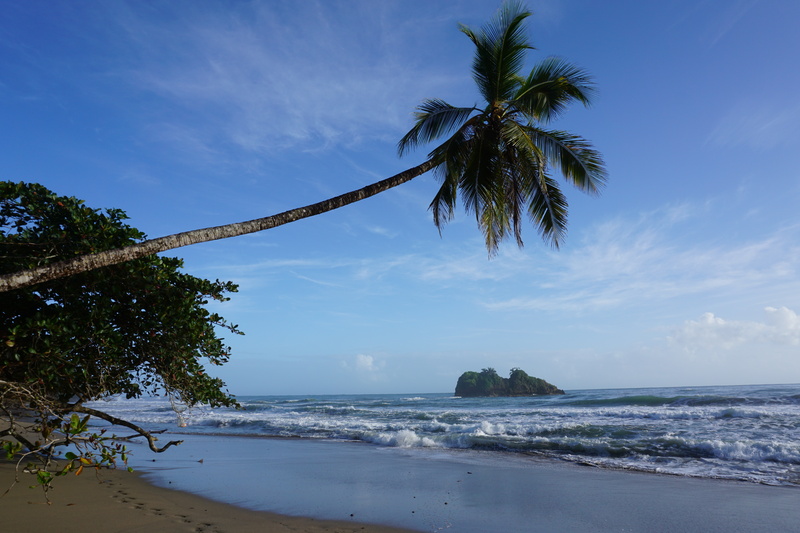 Puerto Viejo is a Caribbean coast backpackers town, with a range of beaches to suit surfers and swimmers alike. 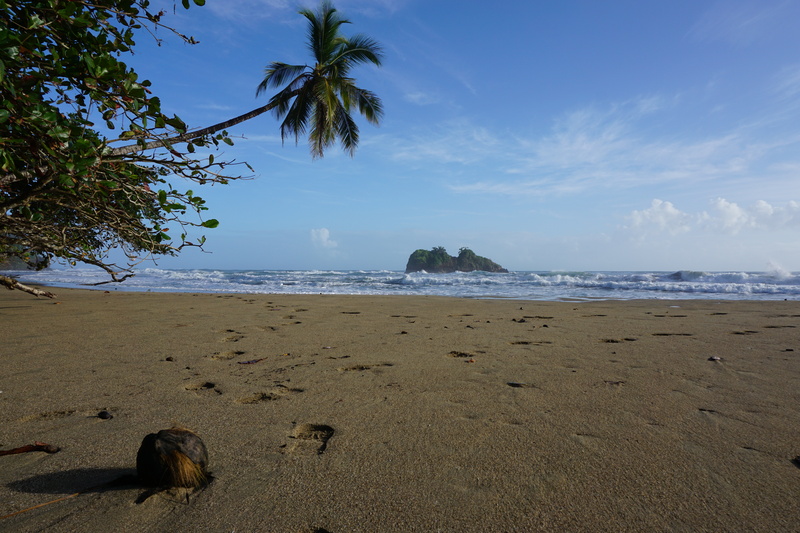 We based ourselves at Playa Cocles just south of the town, a simply beautiful beach with wild waves and a small lifeguarded section. The beach has a vibe that changes in a subtle way as the day progresses – learner surfers, give way to purer beach bums, and then the sunset crowd with guitarists enjoying the warmth which feels permanent. It is clean, and the lifeguards are vigilant, as well they should be. Other beach options in the town include Playa Negra, perhaps the best swimming beach, Playa Uva and Manzanillo National Park. Across the road from the beach is La Costa de Papito Hotel, our base which undersells itself significantly on its website. This was top quality lodging for a relatively modest cost. 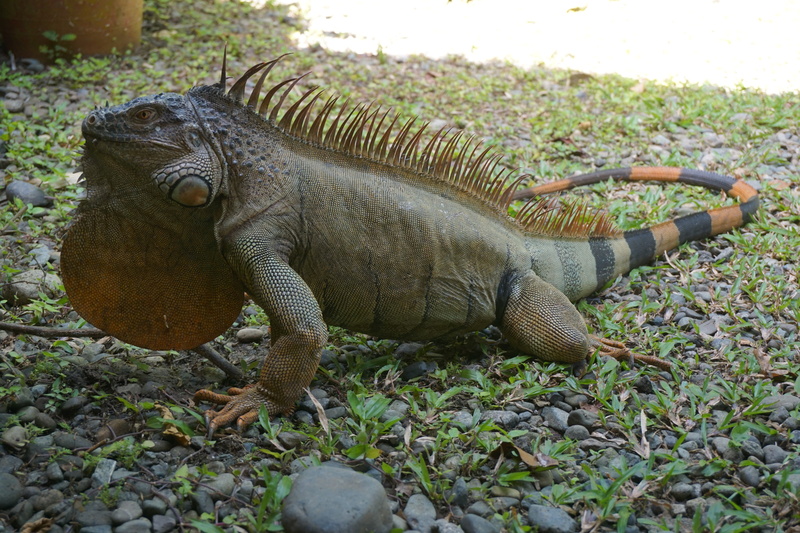 It also had the added benefit of the occasional interesting visitor to the hotel grounds. Spacious, clean and well-aired rooms, and a really nice dining area with delicious breakfasts (and more meals which we didn’t try). 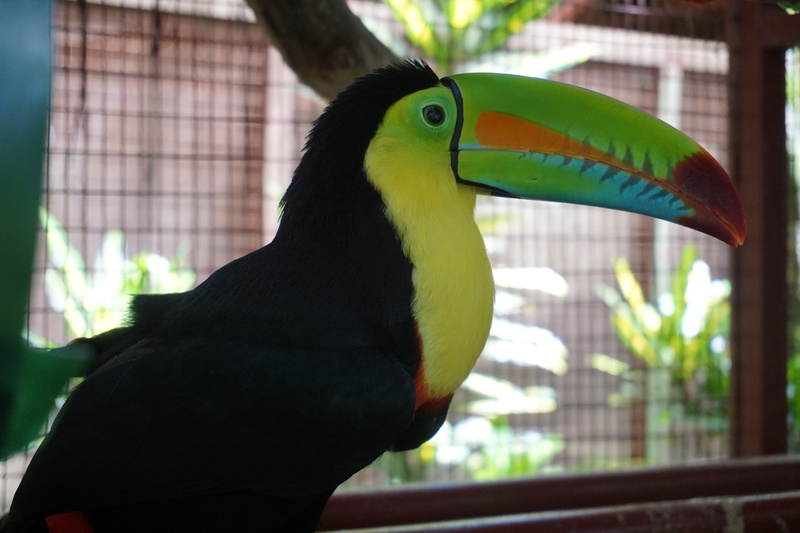 A range of attractions on the Playa Cocles side of town included Chocolate tasting shops and tours, Tasty Waves Cantina bar, and the fun of the Jaguar Rescue Centre (warning – does not contain jaguars!!) 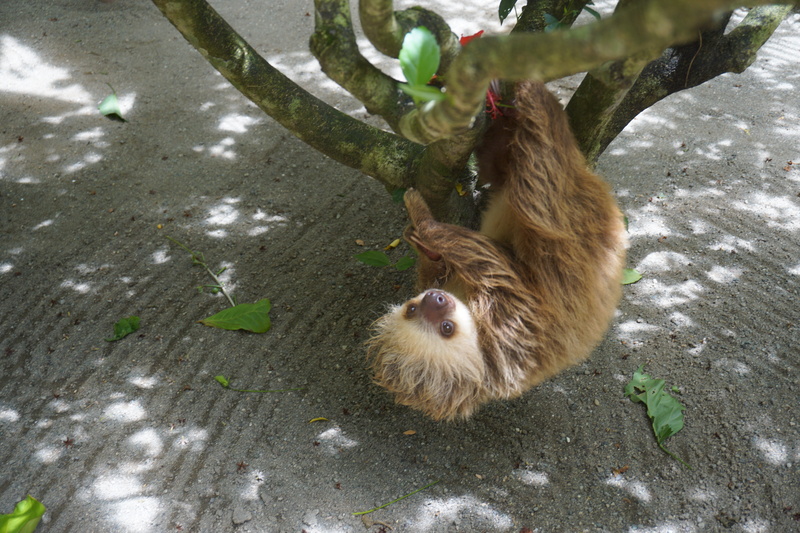 Stars of the show are the sloths and bird life, and you can also book private tours in which you are in the monkey cage with a wide and wild selection of primates. Cycling around town is the main mode of travel, easy and quiet roads making it the obvious choice. The town is compact, so it’s always walking distance in the main area itself between a good selection of bars and restaurants. Rocking Js and Lazy Mon get a big backpacker crowd, and you can also stop in to Outback Jacks in the main town for a game of “draughts”! Much as we tried to squeeze as much out of our 48 hours, there was undoubtedly much more to be seen and enjoyed, and we are not the first people to regret having too little time there. A good base for adventure tours including rafting, waterfall hikes and more, as well as a perfect location for surfing lessons, it whets the appetite for a return for more of Costa Rica’s Pura Vida. Thanks for that post! I was married in Cocles ten years ago, and it still has my heart. It was good to see it in your video. My husband and I are planning a move to Costa Rica sometime in the next year. But first we are heading out to live in an rv and travel the states, Utah included! If you make it to Utah, you may as well check out Oregon. There is something magical about it. Thanks for your reply. That trip sounds wonderful – I’m certainly hoping to see Utah in the relatively near future, I’ll research Oregon too! 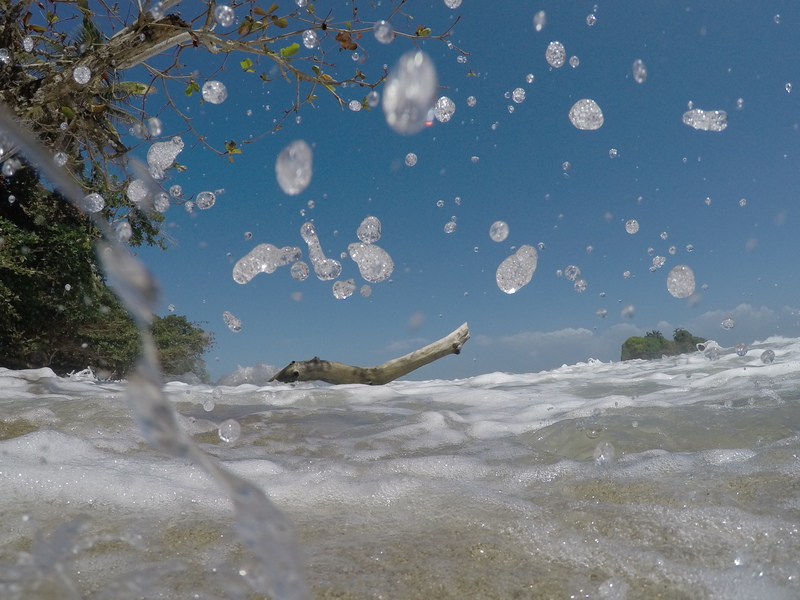 Pingback: Playa Cocles Lifeguard Program » Blog Archive » Heartfelt Thanks! Gracias de Corazon!